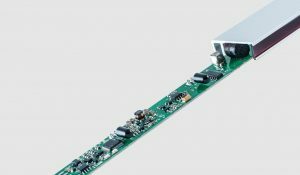 Typically used in monitoring and process control applications, the LS light grids offer enhanced functionality and performance over their predecessor. An innovative highlight is the circuit controlled function selection through polarity of the supply voltage. By changing the polarity, different device profiles can be selected. Thereby it is simple to change between two monitoring areas or between dark- and light-switching logic, without having to load different configuration parameters into the controller.